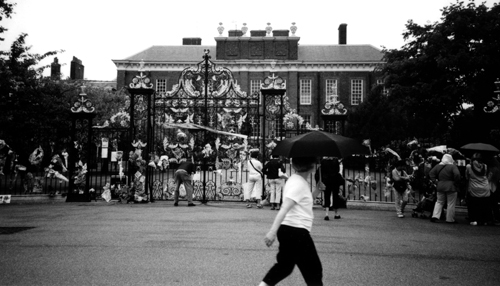 Kensington Palace, 4 years after Princess Diana's death. Her impact on people was really evident even almost four years after her death. Standing there it was almost as if people were waiting for her to walk out the front door.